In a society that seems to firmly believe in market-driven mechanisms to correct behaviour, emissions trading schemes offer an option to curb emissions at minimum cost and through the direct action of those involved in their generation. Regulatory agencies have a number of instruments available to encourage emissions reductions in the industrial and commercial economic sectors. Extensive experience with various pollution control strategies demonstrates that the conventional command and control approach has serious limitations and that enforcement could prove to be very costly. In a trading system, the regulatory bodies issue emissions permits that are then traded between polluters in such a way that the total reductions are achieved at minimum cost to all parties involved; as long as the emissions reductions are achieved, it makes no difference where the reductions are coming from. A properly designed emissions trading program is a cost effective, market-based form of environmental regulation that allows a group of sources of emissions to reach a specified emissions target at lower cost. In order for these trading mechanisms to work, each participant must produce and maintain accurate emissions inventories and there must be a way to audit and determine that the target reductions are being reached. Clearly there are many parallels with financial reporting, where trust is at the heart of corporate transparency and the availability of standard reporting protocols is well established. There are currently a number of alternative schemes for emissions trading and a number of reporting protocols operating around the world; it is still an immature market that should develop into a global agreement for reporting standards. There are significant differences between the available alternatives; the European Union is a compulsory activity and includes various industrial sectors; the Chicago Climate Exchange (now defunct) was a voluntary initiative. There are three main types of program for emissions trading; the “cap and trade” system is built on an agreement of total reduction goals and allowances are distributed to participants based on this target (either free or via auction). These allowances may be traded freely and at the end of the period each participant submits allowances equal to their emissions. In the “baseline and credit” approach participants “earn” credits before they can trade; an emissions baseline is determined for each participant at the beginning (thus establishing maximum emission levels for the period); at the end of the period the participant reports actual emissions and if lower than the baseline allocation, it receives credits that may be freely traded. Participants with emissions above the stated allocation must then buy credits to achieve compliance. Finally, the “offset” approach is specifically design to compensate for additional emissions from expansion or new operations. The incumbent has to purchase credits from other parties that reported emission reductions; buying these credits is mandatory but the emissions reductions are voluntary. The main difference is found in the definition of the baseline as this may be determined in absolute terms (“cap and trade”) or as intensity measures (per unit of production). In any case there is clearly a cost and an administrative burden to ensure that the appropriate reporting protocols are followed by all participants. A basic principle of emissions trading is that each tonne of emissions reduced has a value that is equal to the price of an allowance or credit. Allowances/credits are valuable assets and this can create an incentive to retain them by under-reporting actual emissions. In order to avoid such under-reporting, the programs often require participants to ensure accurate monitoring of emissions. The most accurate monitoring systems available are usually requested for large sources and a high percentage of participants are usually audited. In current systems it has been observed that penalties that involve loss of allowances/credits equivalent to the excess emissions plus automatic fines appear to be effective in reducing the environmental impacts of non-compliance. Under the Kyoto Protocol, signing countries will design and implement domestic policies, including emissions trading programmes, to meet their commitments. They may use the Kyoto mechanisms to trade allowances/credits internationally if they wish, although the way the mechanisms can be used by individual sources will depend upon the domestic policies adopted. Since measures to reduce greenhouse gas emissions often lower emissions of other pollutants that have local health and/or environmental impacts a country may favor domestic emission reductions over the use of allowances/credits as a means of meeting its commitment. International emissions trading under Kyoto is a ‘cap and trade ’ system for Annex B Parties. The allocation to each Party is its initial assigned amount—its national emissions limitation commitment for 2008–2012—plus adjustments for net removals by sinks due to eligible human-induced activities. 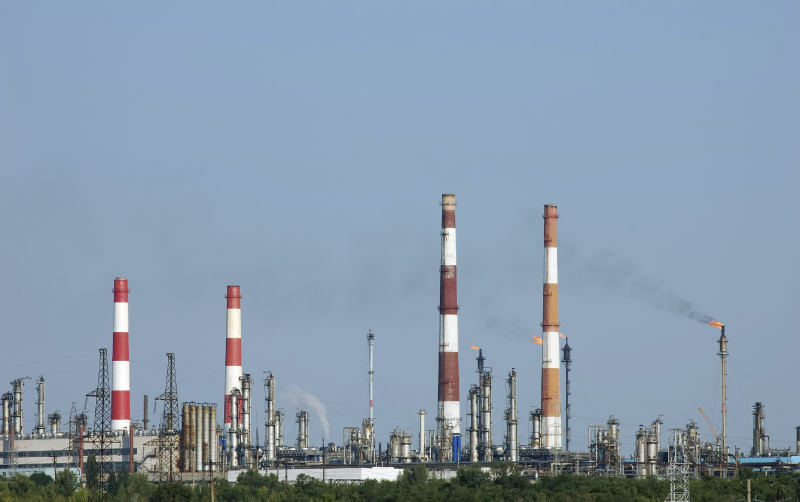 An article from Environmental Finance reports that the global carbon market tripled in size to $30 billion in 2006, from $10 billion the previous year, according to a report from the World Bank. Some market participants believe that the figure underestimates the real size of the market (expected to be as much as 25% higher). The carbon market is still dominated by the trading of EU allowances (EUAs) in the region&apos;s emissions trading scheme (ETS). More than 1.1 billion EUAs were traded in 2006, worth almost $25 billion, compared with 321 million tonnes traded in 2005, worth just under $8 billion. One EUA is equivalent of one tonne of carbon dioxide. Some analysts predict that the market could be worth $100 billion in three years time. The World Bank report also found strong growth in the voluntary market for carbon, with more than 50 companies offering offsets. It estimated that this market could be worth as much as $400 million in 2010. The Bank estimates that, since 2002, direct carbon purchases have leveraged an additional $16 billion in associated investments supporting clean energy in developing countries, on top of $8 billion in new resources for such countries generated by the clean development mechanism (CDM). The report found that prices for primary carbon credits are up across the board. The weighted average for certified emissions reductions (CERs) was $10.90 in 2006, representing a 52% increase on the previous year. CERs ranged in price from a low of $6.80 up to $24.75. The credibility of carbon markets and emission trading schemes is crucial. Any widespread or systemic failure, as a result of deficient monitoring and reporting, flawed compliance processes or fraud, could undermine confidence in markets and regulation and jeopardize the crucial policy goals that they are designed to address.